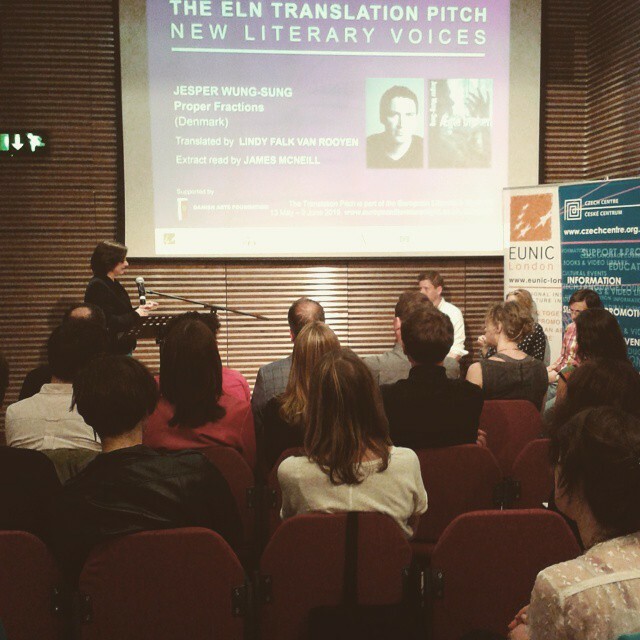 Last night, English PEN hosted an experiment at the Free Word Centre in London. As part of European Literature Night, which in the seven years it has been going has grown from a single evening to a festival stretching over several weeks, The Translation Pitch saw eight translators pitching eight novels that have not yet been translated into English to a panel of industry experts. At stake was a £250 PEN samples grant, which would pay for a chunk of the winning text to be translated and shared in the hope of attracting an English-language publishing deal. The competing books were varied. They included a Danish crossover novel about a school shooting (Jesper Wung-Sung’s Proper Fractions, pitched by Lindy Falk Van Rooyen), a 640-page-long work of German metafiction (Verena Rossbacher’s Small Talk and Slaughter, presented by Anne Posten) and a prize-winning collection of interlinked Hungarian short stories (Krisztina Tóth’s Pixel, championed by Owen Good). After the pitch and an – often powerful – reading of an extract by an actor, the translator received feedback from the panel: writer and senior editor at Granta Max Porter, agent Kerry Glencourse, and translator and founder of publisher And Other Stories Stefan Tobler. The panel’s comments were illuminating. As well as revealing the strengths and problems of each project, they also shed light on what publishers look for when they consider bringing works to the English-language market. Books with clear narrative lines and easy, one-sentence hooks seem to have a better chance of being published (although middle-of-the-road commercial fiction is likely to be passed over, as there are lots of home-grown writers doing that). In addition, books that can easily be compared to the work of well-known authors tend to have an advantage because, as Porter observed, ‘publishers are lazy creatures’. At times, the feedback made for somewhat depressing listening. With the panel generally shying away from works that sounded structurally or linguistically complex – or that used settings outside the author’s home nation – it seemed as though the odds were stacked against more inventive, experimental works making it through the translation bottleneck into English. With editors reportedly ever more under pressure to take on ‘marketable’ books, you could have been forgiven for thinking that we are in danger of only getting access to works that reinforce our preconceptions about other places and people. Thankfully, however, the winning book did not conform to all these prescriptions. Penned by a writer who has been billed as ‘the Bulgarian Balzac’, Vladimir Zarev’s Ruin sounds like a fabulous read. Now in its ninth edition since its publication in 2003, it has apparently been hailed by critics in countries such as Germany as the novel about life in Eastern Europe since the fall of communism. Indeed, what swung it for the book – along with translator Angela Rodel’s obvious passion for the project – was probably her observation that German publishers were laughing at English-language publishers because they have failed to pick up Zarev. This, Rodel claimed, was an ‘outrage’ and she was eager to ‘unleash Ruin on the anglophone market’. With commendations also going to the Rossbacher and Pierre Autin-Grenier’s That’s Just How It Is, whose would-be translator Andrea Reece made a similarly compelling pitch, it was clear that passion still wins the day. Let’s hope it long continues so. For me, it was a particularly thought-provoking evening: shortly before the pitches began, an email had come through on my phone. 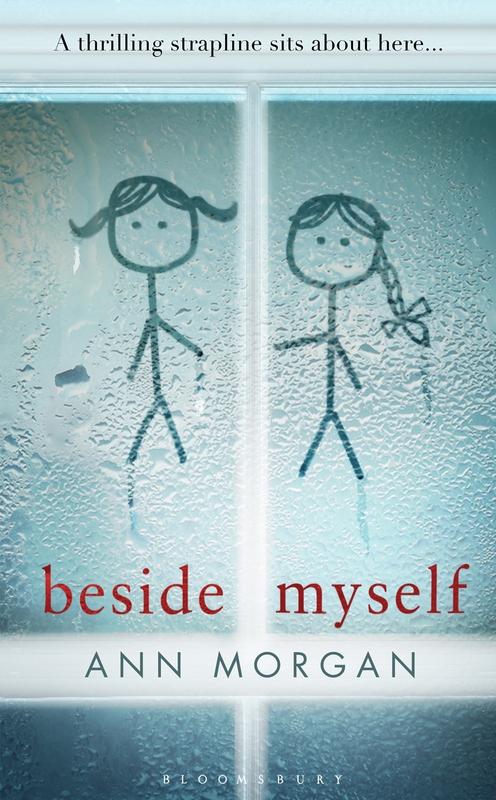 It was from my editor Helen at Bloomsbury and attached was the final version of the cover design for my novel, Beside Myself (below – I hope you like it). For the first time, I had seen what it will look like when it’s published next year. It was a moment of great delight and pride. Hearing about those eight fascinating novels that may never get an English-language deal put that experience into context. It made me feel once more how extraordinarily lucky I am to be writing in a language that gives me the chance to reach the sort of readership that English does – and how very much further we have to go before we can all truly read the world. Sobering thought, indeed. I didn’t know about that attitude towards middle-of-the-road fiction (actually, I thought they’ve been translating too much of that in some cases). A challenge indeed! But yeah, once I sat in on a lecture where MA Translation Studies students, after a semester of learning about domesticating/foreignising translations & the invisibility of the translator/translation, were debating with a well-known translator and a publisher specialised in publishing only translations. There was such a huge gap between the two groups, and it was highly disillusioning to see – that the publisher you’d expect to be most supportive of and passionate about bringing hidden gems from other languages into English ultimately was only focused on money & producing a translation that no one would ever guess to have come from another language originally.